Have a few in my cabinets, works very well and looks great when door is open. I can get items faster. 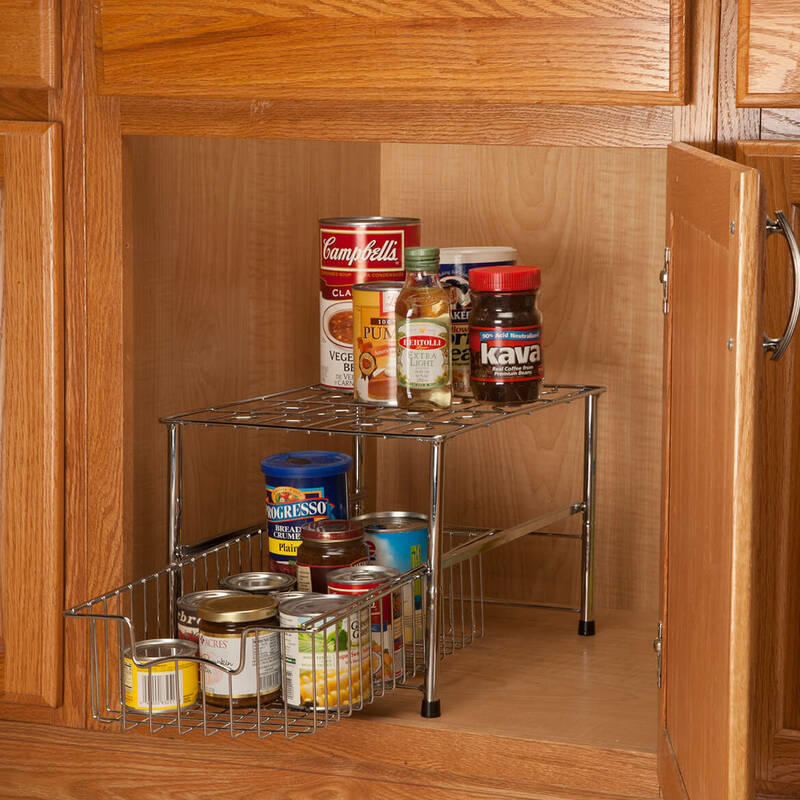 Pulling out of cabinets is simply great and easy without unstacking. To use as space saver under sink. Would this work to hold water bottles? 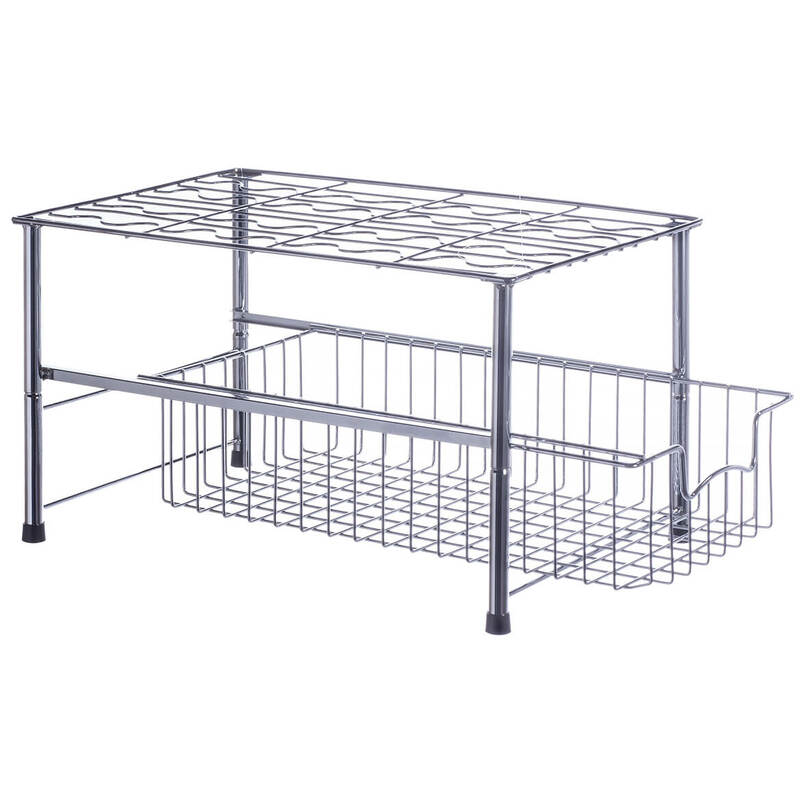 (16 oz size) I buy 24 pack & am looking for a storage rack to hold them. BEST ANSWER: Yes, very well, and one of my ice tea bottles which is 16.9 oz fits very nicely as well.